We are all aware we need food and drink to give us the energy that our bodies need to sustain our daily lives. Some health experts say that if we eat a good range of foods, we will get enough of the essential vitamins and minerals that our bodies need. On the other hand, some say that we also need to top up our intake of these essential vitamins and minerals. Either way, vitamin and mineral supplements may well hold the key to the fountain of Youth. Selenium is a powerful trace mineral with many anti-aging properties. As we get older it is believed that the levels of our body’s store of selenium fall leaving us at risk of viruses, cancer, heart disease and other signs of rapid aging. It is also thought that selenium can help with depression. Brazil nuts an excellent source of selenium can be purchased at most health food shops, or your local supermarket food store. It is suggested that one Brazil nut contains 100mg of selenium and will provide our bodies with approximately the correct nutritional value of selenium. Like the trace element zinc, selenium can help turn the clock back to our youth, and as far as our immune systems are concerned it is also a key ingredient in keeping viruses under control. However, although Brazil nuts are a rich source of selenium, the actual amount of selenium varies greatly from nut to nut, so that leaves me wondering if consuming a Brazil nut a day is enough? Although selenium is an essential trace element, you do need to watch your intake as it can prove to be toxic if taken in excess. The effects of taking too much selenium are called selenosis. This condition can lead to loss of hair, skin, and nails in its mildest form. Extreme cases of selenosis can result in cirrhosis of the liver. Symptoms of selenosis include a garlic odour on the breath, gastrointestinal disorders, fatigue, irritability and neurological damage. Our Thymus gland, the engine that controls our immune system, is bigger than the heart at birth. After puberty, it starts to shrink so that by the time we reach our 40s it is highly doubtful that it would be visible on an X-ray. The shrinking of the Thymus is one of the most significant signs of aging. As it gets smaller we become more susceptible to disease. The thymus is the organ that produces T cells (T Lymphocytes), without them our immune system would be non-existent. During puberty the Thymus is about the size of an apple. After puberty, the thymus gland starts to atrophy (waste away) and eventually reduces to about the size of a pea. A Monash University researcher has found a way to return the body’s immune system back to it’s highest level of functionality, by regrowing the Thymus. It would appear that researchers have had some success with testing on mice and now trials are underway for cancer patients. If you are interested in the thymus there is an interesting piece of reading by Owen Craig and Caroline Penry-Davey at abc.net.au It was researched back in 2002/2003 but it does give an idea of how research rated the outcome of this experiment. Vitamin C is well known for its help in fighting colds and is also known for its benefits in reducing the risk of serious illness. Experts believe boosting your daily intake is even more effective than cutting down on fat and lowering cholesterol. Yet amazingly, it is a fact that not every one gets enough vitamin C and it is believed a deficiency can rob you of youth, health and longevity. 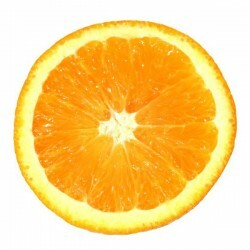 Whether vitamin C is of help to reduce the common cold symptoms or not is debatable. There is research that agrees and there is also research that disagrees. A review paper of 2007 at the Cochrane Library suggests that there is more therapeutic trials needed to settle this question one way or the other. Vitamin C helps in the formation of collagen and is also important because it helps protect the fat-soluble vitamin A and vitamin E as well as fatty acids from oxidation. Collagen has great tensile strength and is the main component of fascia, cartilage, ligaments, tendons, bone, and skin. Along with soft keratin, it is responsible for skin strength and elasticity, and its degradation leads to wrinkles that accompany aging. If the making of collagen becomes a problem the body would be left open to a variety of other problems, and simply curl up and die so to speak. Research studies suggest that the amino acid lysine is essential for collagen production. Vitamin C the pro’s and con’s. soyabeans, tofu, isolated soy protein, and defatted soybean flour, spirulina, (available in tablet, flake, and powder form) and fenugreek seed. (used both as a herb (the leaves) and as a spice (the seed)). It has been suggested by top researchers around the world to be necessary when it comes to fighting off the diseases of aging. Vitamin E is a fat-soluble vitamin, it also helps to protect vitamin A and essential fatty acids from oxidation in the body cells and prevents the breakdown of body tissues. Research tells us it’s virtually impossible to get the recommended daily dosage. To do so would mean eating around 5,000 calories, mostly fat. E vitamin is covered in more depth in know your vitamins. Bananas are a wholesome, nutritious food and a good source of important vitamins, minerals, and macronutrients including vitamin C, potassium, vitamin B6, and dietary fiber. Our heart and brain as we age can become an area of concern. Recent research into the three B vitamins – B6, folic acid, and B12 shows that these vitamins play an active role in keeping these organs healthy as well as helping to relieve, stress and anxiety. It is also reported that bananas are high in fiber making them an excellent substitute for laxatives in restoring normal bowel action if you suffer from constipation.